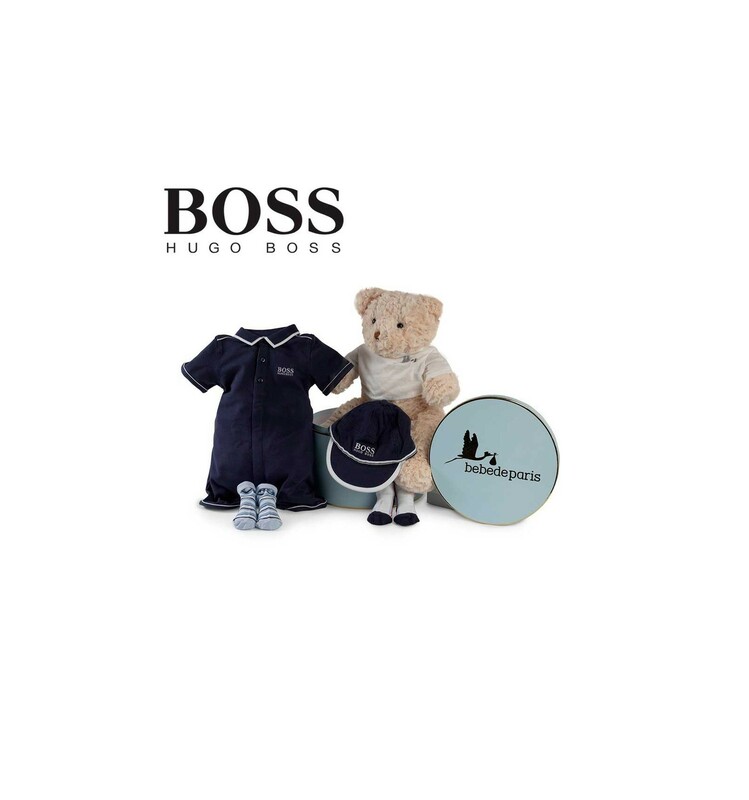 Hugo Boss polo romper suit. Polo collar, matching buttons on chest and poppers in the front and underneath for easy changing and dressing. Contrasting border trim. Elastic setting at the legs. Hugo Boss logo embroidered on left side. Composition: 97% cotton - 3% elastane. Size: 6M - 67 cm. Hugo Boss sock set. 2 sock pairs with different blue and white striped patterns. 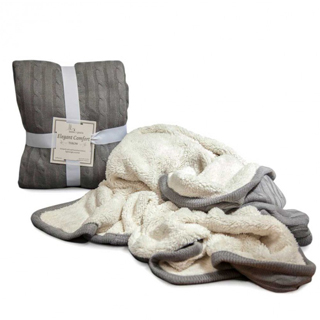 Composition: 70% cotton - 25% polyamide - 5% elastane. Size: 17/18. Hugo Boss baby hat. 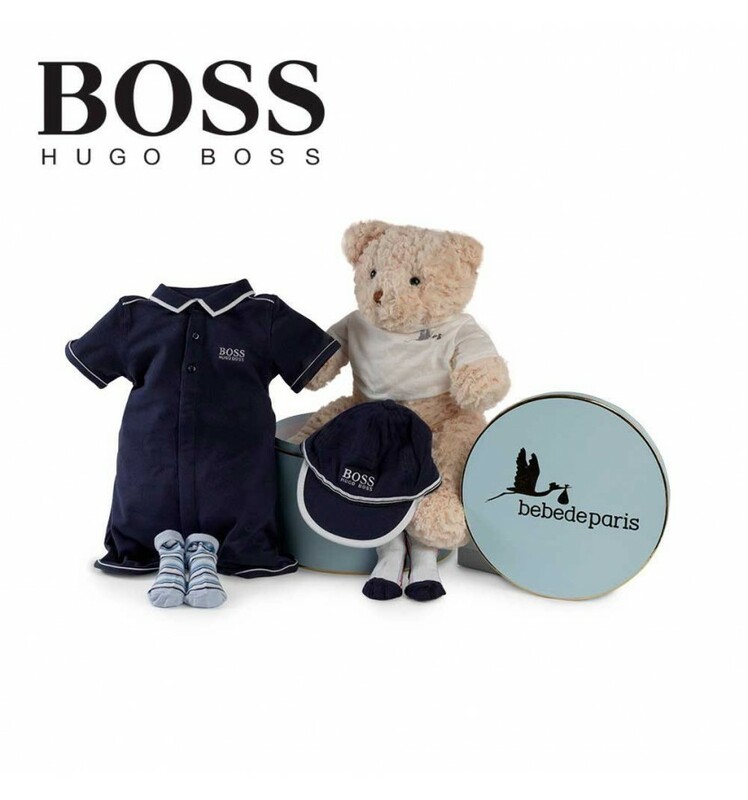 Hat matching romper suit and socks with contrasting trim and Hugo Boss logo embroidered in the front. Double layer inside. Elastic adjustment. Composition: 100% cotton. Size: 44. White teddy bear. Measures 42 cm. Composition: 100% polyester. Presented in vintage style box. 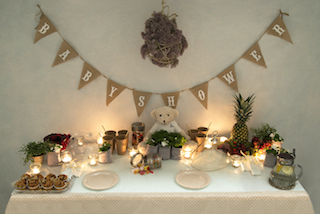 All bebedeparis new baby gifts include greeting card and new baby welcome card with baby's name. 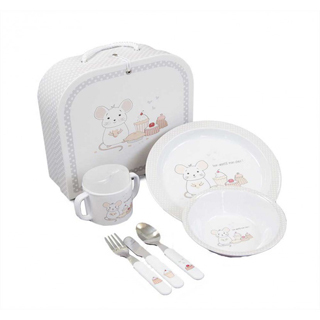 We recommend hampers with apparel size 3-6 months, as the new parents usually have everything the newborn will need for the first months.